This may not be politically feasible under Democratic control of one chamber of Congress, though – a point conceded at last week’s conference call by the National Association of Scholars. It was organized in part to bring attention to the association’s re-released 2011 study The Vanishing West: 1964-2010. 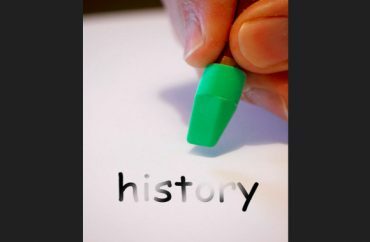 The study documents “the disappearance of Western civilization courses from the college curriculum” and replacement with “world history” courses. Western civilization courses were generally required in colleges and universities before they were overtaken by progressive political movements, according to President Peter Wood. “We face a kind of civilizational crisis. The elites are so profoundly dissatisfied at who we are and what we are,” Wood said. Higher education institutions must recognize that “America is part of Western Civilization,” and should teach American students about their cultural heritage, Wood said. He also said they should credit Western civilization for “key advancements,” such as legal recognition of liberty, the Scientific Revolution and the Industrial Revolution. Responding to critics who contend that such a mandate would violate professors’ classroom autonomy, Wood said this guise has allowed progressive professors to “run riot and achieve their own ends” with radical agendas that are unwelcoming to students with different opinions. Wood said Congress should strip federal funding from colleges that engage in “multiculturalist crusades” of indoctrination. But he conceded this was unlikely with Republicans in control of only one chamber of Congress, since Democrats took back the U.S. House of Representatives the week before. “[W]hat will get the attention from college administrators is anything that threatens the flow of federal dollars into their pockets,” which is where Congress can play a role, he said. Such legislation would be enforced by a national commission that would conduct investigations and report back to Congress about “bad actors” who “deny academic freedom to their students and faculty,” he said. While the beginning of the course focuses on ancient ideals of Hebrew and Mesopotamian civilizations, it progresses to the natural rights theories of modern philosophers, such as John Locke and Thomas Hobbes. The college emphasizes the study of Western philosophies from the Great Books because of their significant influence on the American founding. The conservative Stanford Review got a referendum on the student government ballot in 2016 that would demand the study of Western civilization as a graduation requirement, but students overwhelmingly voted it down.